At a World Customs Organization workshop held in La Paz on January 23-27, 2017, representatives from the 21 customs organizations in Latin America and the Caribbean met (link in Spanish) to discuss customs transit in the region and to implement a plan to optimize this. This was a continuation of the initiatives begun in 2016 at the 19th Regional Conference of Directors General of Customs. The host organization, National Customs of Bolivia (link in Spanish) (ANB) stated that the aim is to reduce customs dispatch times, processes, and red tape; to work with other customs organizations to identify risks; to improve exchanges of information; to monitor transit throughout the opening and closing stages; to promote training; and encourage cooperation nationally and internationally. “Foreign trade is not just with the countries in the region but with the world. This is why it was important for us to find out more about customs regulations within subregional blocs like SIECA and CAN,” the ANB representative said. 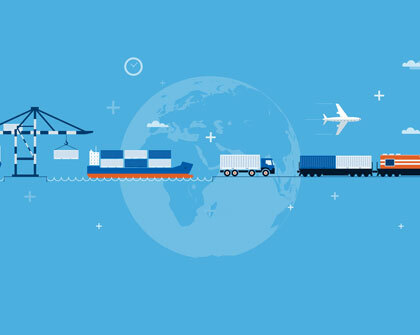 Other organizations that took part in the event included the Inter-American Development Bank, Japan Customs, and the World Customs Organization. The latter stressed the importance of paying particular attention to landlocked countries, such as Bolivia, as transportation costs and dispatch times are greater there. “The problem of the free movement of goods cannot be fully solved without freedom of transit,” said WCO officials.